Good Morning beautiful people! I am back again with another baking post, I hope you are as excited as I am to be sharing this. I have been so busy which has made it hard to make time to bake. 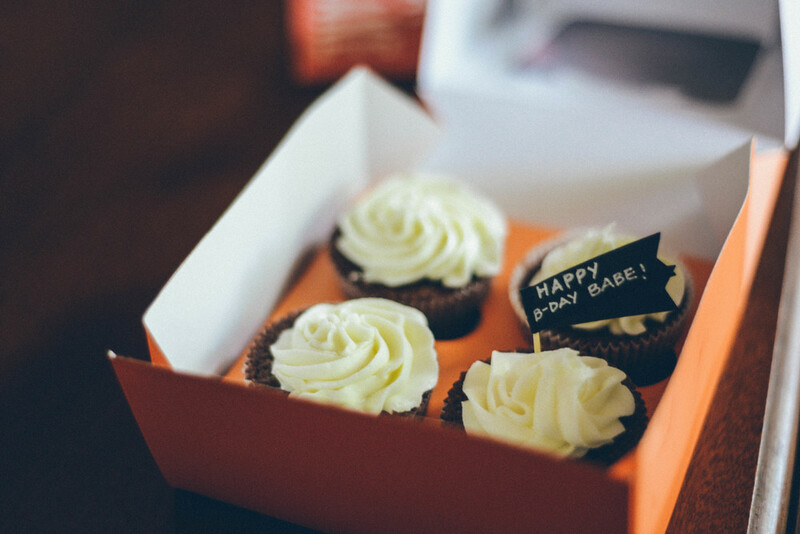 But yesterday was my (amazing) boyfriends birthday, so I thought it was a perfect time to bake some delicious cupcakes. Buying Nathan's gifts was actually incredibly difficult. I knew what he wanted but I wanted to make it special for him, and I wanted to make sure he knew I spent time on his gift. So, being that he bought me this beautiful standard mixer for my birthday I thought it would be nice to bake him something special for his birthday. I chose to make him these lovely (not so red) Red Velvet Cupcakes. Even though I paired them with a fluffy vanilla frosting rather than the traditional cream cheese frosting, they were delicious. I didn't anticipate blogging about this, but I thought it was a great opportunity to share a great recipe with you all. I hope you enjoy the photos and the recipe (attached below)! Baking tip: I know that sometimes we get impatient and want to go through the process as quickly as possible but following instructions is so important when baking. Also, if you know you will be baking a frosting for your cupcakes make sure to leave your butter sitting in room temp until softened (if the recipe calls for it), do not microwave the butter to soften it. 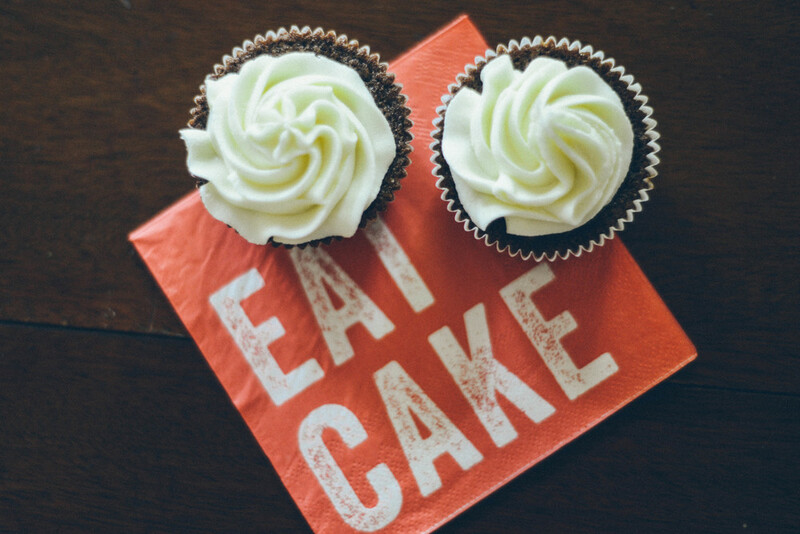 Be patient, and trust that taking the little extra steps will make your cupcakes even more delicious! Preheat oven to 350 degrees F. Line standard muffin tins with paper liners. Whisk together cake flour, cocoa, and salt. 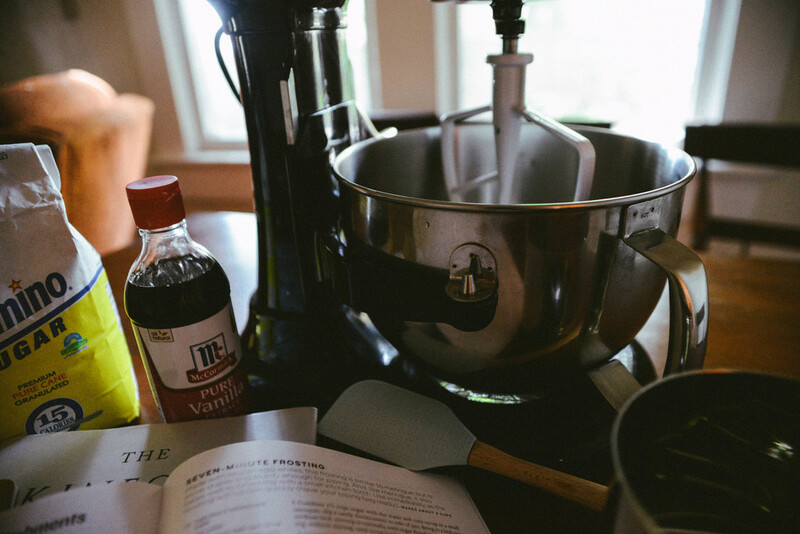 With an electric mixer on medium-high speed, whisk together sugar and oil until combines. Add eggs, one at a time, beating until each is incorporated, scraping down the sides of the bowl as needed. Mix in food color and vanilla. Reduce speed to low. Add flour mixture in three batches, alternating with two additions of buttermilk, and whisking well after each each. Stir together the baking soda and vinegar in a small bowl (it will foam); add mixture to the batter, and mix on medium speed for 10 seconds. Once out of the oven, transfer cupcakes onto a cooling rack (this is important). To finish, make a delicious icing and top them off! Add decorations to your liking. With an electric mixer, beat butter on medium-high speed until pale and creamy, about 2 minutes. Reduce speed to minimum. Add confectioners' sugar, half cup at a time, beating well after each addition and scraping down the sides of the bowl as needed; after every two additions, raise speed to high speed and beat 10 seconds to aerate frosting, then return to medium. This process should take about 5 minutes. Frosting will be pale and fluffy. Add vanilla, and beat until frosting is smooth.